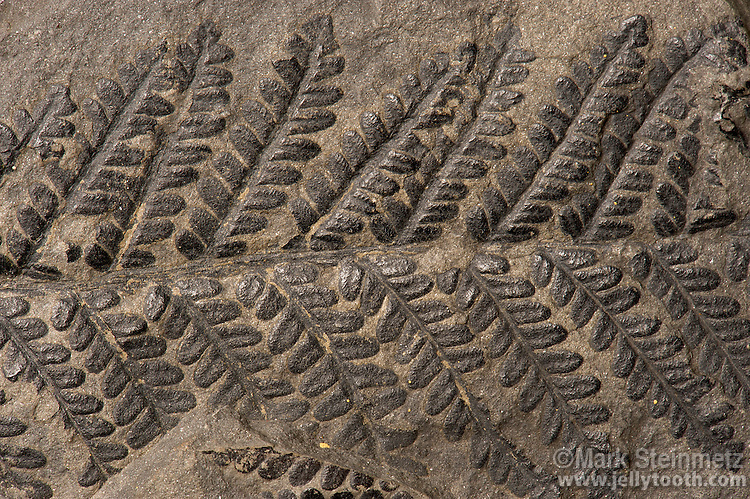 Fossil fern. Pecopteris oreopteroides (Schlotheim). Pennsylvanian. Locality unknown. Pecopteris was an extensive form genus of ferns that flourished in the early Carboniferous period.